WHAT A RARE FIND!! 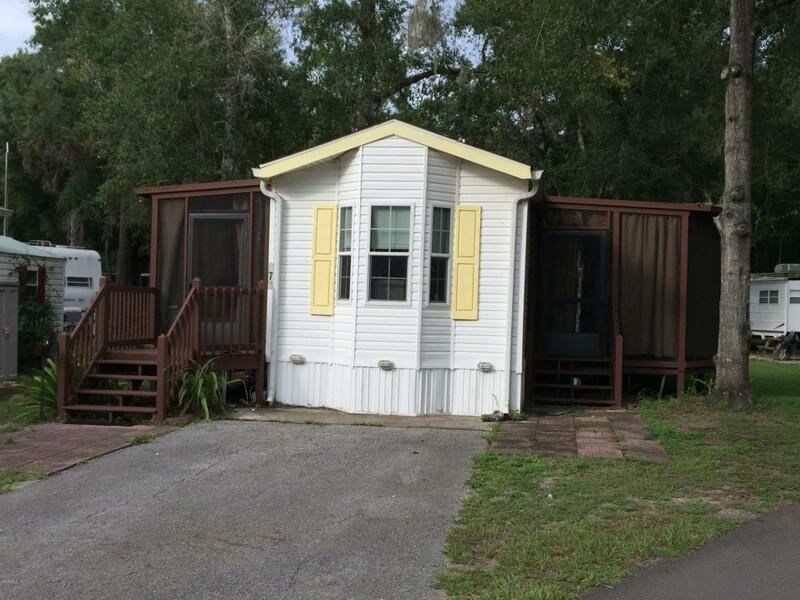 This 2 BR/ 1.5 bath Park Model has TWO screened porches, one on each side of the home and a shed attached that you can enter from the west porch without going outside! 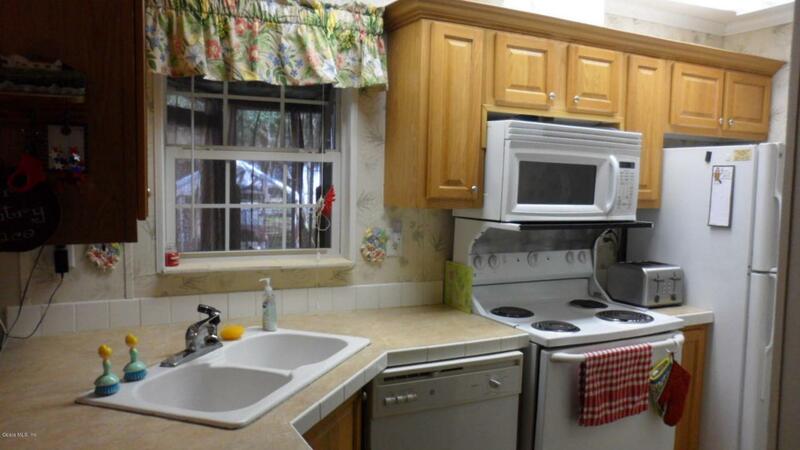 Home is furnished, has all the ''bells & whistles'' which include full sized refrigerator, dishwasher, stack washer & dryer, microwave, most of the furniture, porch furniture, ceiling fans, tons of storage areas, shower-bath, mirrored closet doors & built in dresser storage in bedroom & so much more. 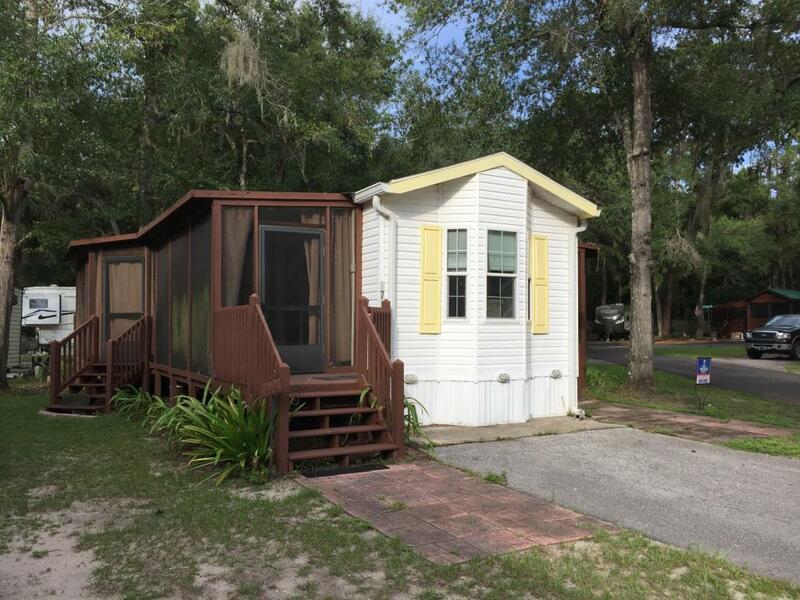 Salt Springs Resort amenities include pools, Lodge/Clubhouse, tennis court, shuffleboard, boat ramp on Little Lake Kerr, dock, swimming area, water, sewer, basic cable, yard care, dog park, gate keeper, road maintenance & much more (included in the HOA fee). 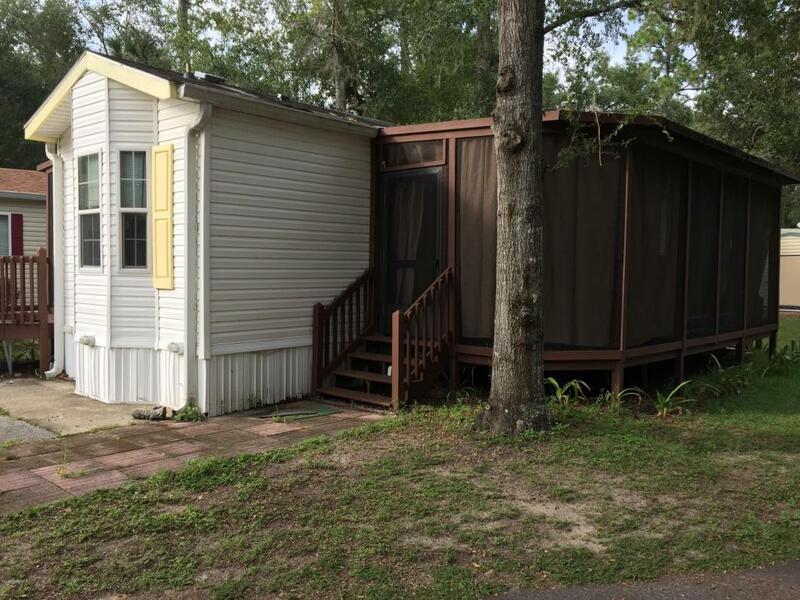 This is a ''one of a kind'' find in the Resortdue to the two screened porches (with 2 exits on each porch) and the extra bedroom with half bath! Plenty of parking area also for all your toys!